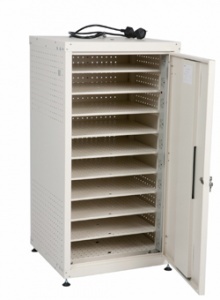 Our extensive range of laptop cabinets and lockers offer a secure and convenient place to store multiple laptops, netbooks, tablet computers and other media devices within school and business environments. 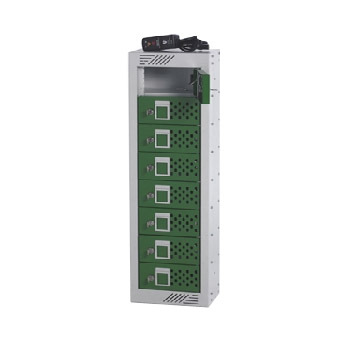 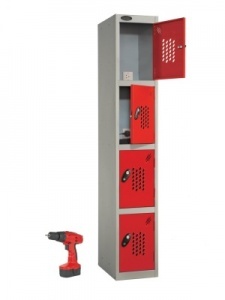 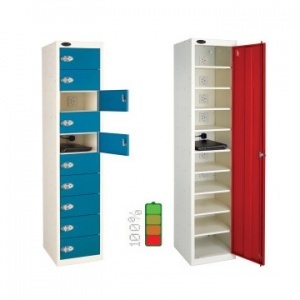 Choose standard laptop lockers for general storage or a charging model that can keep the batteries of up to 30 laptops fully charged and ready for the next lesson or activity. 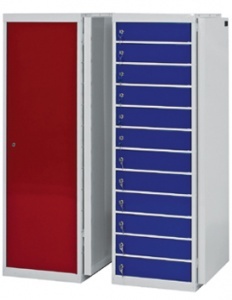 Each locker compartment is sized to accommodate the majority of portable computers currently in use, there are options for both single and individual doors along with a choice of colours to allow the unit to match or co-ordinate with existing colour schemes in your building. 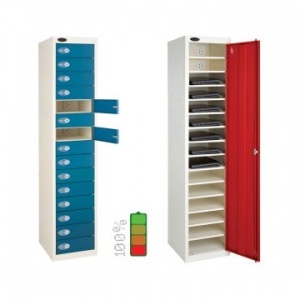 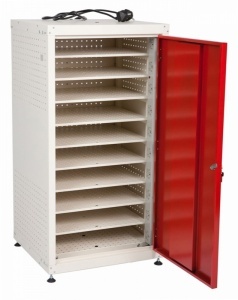 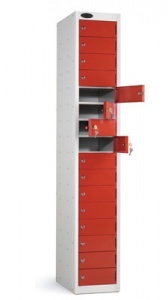 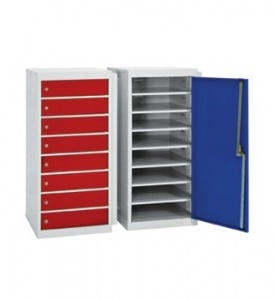 We are one of the leading suppliers of laptop storage lockers in the UK, if you have any questions please call us on 01993 779494.